My first horse racing experience was at Royal Ascot in the UK a few years ago. I was a women’s accessories product developer at the time, and one of our biggest suppliers was a millenary manufacturer. Since hats and horse racing go hand-in-hand, our supplier had booked a corporate tent and my team were their guests for the day. It was a magical experience – a fully catered lunch and snacks throughout the day, as well as an endless flow of champagne – every girl’s dream! When we returned to Melbourne and booked tickets for the Melbourne Cup, I hoped my second racing experience would be just as good as my first. I am pleased to say that the Melbourne races didn’t disappoint. In fact, the level of enthusiasm and effort that women demonstrated to look the part for Fashions on the Field was impressive. There is an infectious passion and spirit behind Aussie horseracing that is present at every race meet - from the Melbourne Cup to every country racecourse in between. The Sunshine Coast Daily’s Ladies Oaks Day is no exception. If you know someone who loves the horses or getting dressed up for the races, why not treat them to a fun day out at the Sunshine Coast Turf Club to celebrate Ladies Oaks Day tomorrow. As well as live racing, there will be a live band, Fashions on the Field and a big screen TV on the course (so you won’t miss any of the action). Tickets are only $20 for adults (with $2 from every adult ticket donated to the Hear and Say Centre). Gates open at 10am and there will also be FREE buses to and from the track from Noosa, Maroochydore, Mooloolaba and Kawana. Keep an eye out for Mr Gift – we are one of the proud prize sponsors and are excited to be part of this fantastic event. 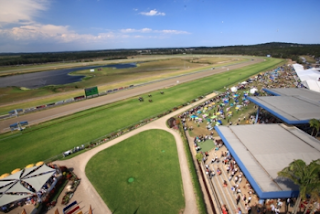 For more info, visit the Sunshine Coast Turf Club website. What’s the best cake to make for a guy? It’s always tricky working out the best way to give someone a good send off when they leave a job. Whilst gifts are great (and I promise I will dedicate another whole blog post - or ten to the best leaving gifts), cake is essential. The hardest bit is deciding what sort of cake to cook/purchase. In the same way that buying gifts for men is a challenge, cooking the appropriate cake for a guy can also be a bit of a conundrum. Whilst women’s hearts melt for cute cupcakes and pink icing, this doesn’t always work for dudes. My last challenge was for a blokey bloke’s leaving do, so the Victorian Sponge just didn’t cut it. Given that he likes beer, port, cognac, and pretty much all other alcoholic drinks known to man, a Baileys Cheesecake struck me as the most appropriate option (after ruling out a Guinness Cheesecake). 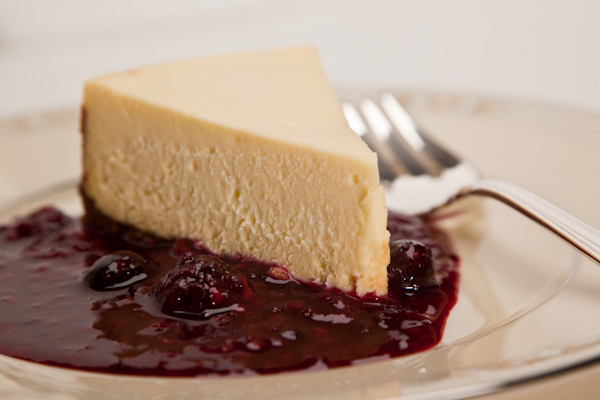 The below cheesecake recipe derives from a favourite family recipe that originally started life as a lemon cheesecake. The beauty of this recipe is that you can pretty much adapt the 1/3 cup of Baileys to be 1/3 of a cup of anything you like (although I wouldn’t recommend Guinness) e.g. lemon juice, orange juice, lime juice, or another liqueur of your preference. No baking is required and you can even make this one the day before for extra flavour – enjoy! 250g pack of sweet biscuits - I love Arnott’s malted milk, but Arnott’s Ginger biccies are also delicious for a stronger flavour. 2. Press biscuit mixture into a lightly greased dish ensuring that the base and sides are evenly covered. Refrigerate for 30 mins (or until firm) to set base. Tip: You can use a flat-bottomed object such as a glass or jar to press mixture down firmly. 3. Filling – Beat cream cheese with electric beaters until soft and smooth. Add condensed milk and Baileys. Continue beating the mixture until smooth. Tip: If you are using lemon, lime or orange juice for a citrus-flavoured cheesecake, grate a little rind into the mixture for added flavour. 4. Mix gelatine with water and then add to the cream cheese mixture, ensuring it is thoroughly combined. 5. Pour the filling into the base and refrigerate until set – will take a couple of hours or can be left in fridge overnight. Will keep in the fridge for a couple of days, covered (if it lasts that long!). Wishing you all the best in your new job, Christian! 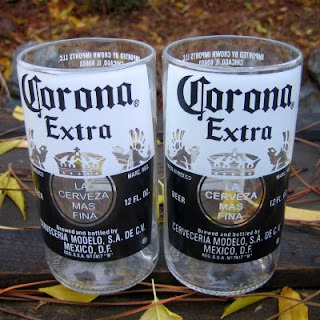 I have always associated Corona with lazy summer holidays, or Sunday afternoons relaxing in the sun with great company. However, thanks to the guys at BottleHood, I now associate Corona and Corona bottles with something else – recycling - or more specifically, ‘repurposing’. Based in San Diego, California, BottleHood are at the forefront of recycling glass from beer, wine, soda and liquor bottles and repurposing them into glasses, jewellery, light fixtures, vases and more. Glass is sourced from local homes, restaurants, bars, breweries and community events and cleverly reprocessed by a skilled team of artisans. 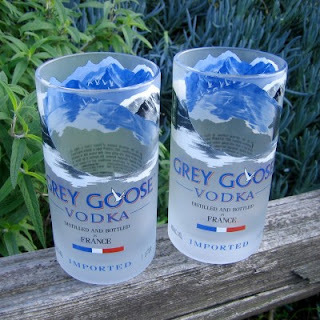 In addition to Corona bottles, BottleHood also transforms other beer bottles, spirit bottles such as Grey Goose and Belvedere, and colourful wine bottles into an assortment of must-have glasses. Considering that it takes more than 4000 years for glass to decompose in landfill, it’s a scary prospect that around 7 million tonnes of glass bottles are thrown away in the US alone every year. Even when glass is recycled, transport and energy costs are still incurred in getting bottles to a recycling facility and then remanufacturing them. 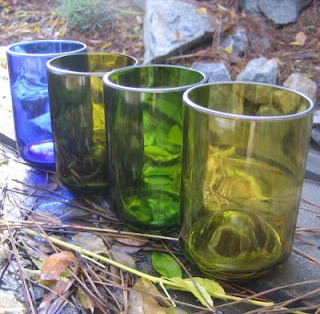 Repurposing glass is a simpler process, requiring fewer resources than recycling. BottleHood also aims to source their bottles locally, cutting down on transportation costs. BUY NOW and receive a FREE Joseph Joseph Quicksnap Ice Tray (worth $14.95) with any BottleHood products purchased before 5pm Fri 25 May 2012. Boheme adhere to a simple philosophy: “to provide unique hand-crafted products that will add colour and energy to your life”. 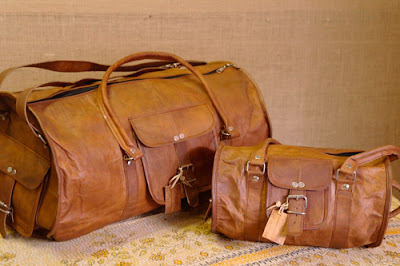 Utilising the highest quality materials they can source, such as leather, Boheme’s unique products are designed to reflect the character of the materials they use and complement a variety of lifestyles. 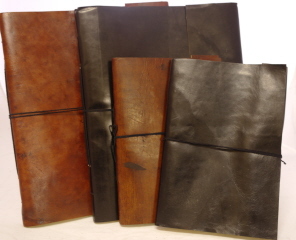 Mr Gift is a proud stockist of Boheme’s premium leather range, which consists of duffle and overnight bags, satchels, notebooks and sketchbooks. If you are looking for a timeless quality gift that will be treasured for years to come, Boheme’s products should be top of your list. 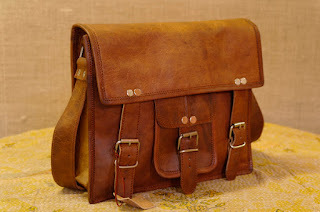 BUY NOW and receive FREE DELIVERY on any Boheme products purchased before 5pm Fri 18 May 2012. Simply enter code BOHEME when you place your order. 1. The best gift I ever received was…a gold necklace I received for my 21st Birthday. It was given to me by my mum and I wear it every day. 2. The top gift on my wish list is…a Rolex watch. 3. The best gift I have ever given was…the handcrafted wooden jewellery box I bought my wife for her 30th birthday when we were on holiday in New Zealand. 4. The hardest person I have ever had to buy a gift for was/is…my Dad, because he has expensive taste. 5. 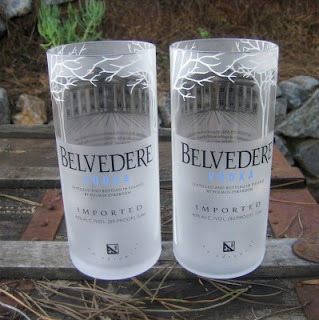 The best last-minute gift is…alcohol i.e. a bottle of wine. 6. 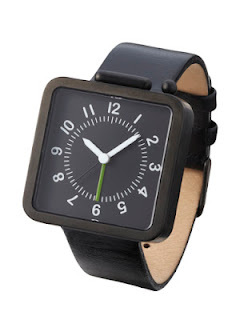 My hot gift buying tip is…buy gadgets, because everyone loves them! Your gift recipient is your best source of information for gift inspiration, so listen up! What have they been up to lately? Have they moved house? Perhaps they have taken up a new hobby, such as golf, or started a new job. Recent changes in their life present numerous gift opportunities for items that would come in handy and help them adapt to a new situation. For example, if they have just bought a new car perhaps there are some accessories, such as car seat covers or floor mats that they might need. Likewise a new job could warrant some new cufflinks or a laptop case. Listening closely and taking note of the things that are important in their life shows you care - after all, this is the reason you are buying them a gift in the first place! Sources close to the person you are buying a gift for are like gold, especially if you haven’t seen them for a while. Your ‘sources’ will be able to give you the inside info on what your recipient is into, what they need or what they have asked for. People such as partners, parents, siblings, children and close friends are all useful gift inspiration sources and you could even chip in and purchase a gift together if you want to buy something really special. It may sound tedious, but keep a note of the gifts you buy people so you don’t accidently buy them the same gift again. This is something I’m guilty of, and I have also had the pleasure of receiving the same gifts two years in a row from the same person. Something you thought was a good gift idea last year may still sound like a good gift this year, so be careful! Believe it or not, not everyone likes the same things as you! As tempting as it is to buy that newly released book from your favourite author, question if your recipient would enjoy it as well. A lack of organisation often results in panic-buying, which can be expensive and futile. If you need to buy a last-minute gift, go with something consumable such as a nice bottle of wine, a food hamper, spa voucher or movie tickets. Whilst these gifts are not as memorable (or personal), at least you won’t end up buying your poor recipient something hideous in haste that they will put in a cupboard and never use again. Be sure to add key birthdays to your calendar, or set a reminder in your phone so you have plenty of time to research, purchase and send gifts and cards. A budget will give you some parameters that will help you narrow down your options and hopefully save you time. If you want to buy something really special, consider buying a joint gift with close friends and family. Whilst joint gifts can help take the pressure off decision making, they can also become complicated if you can’t all agree. 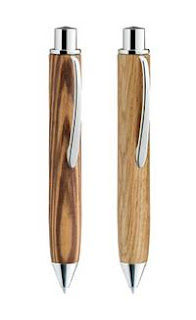 Whilst I’m a huge fan of practical gifts, the best gifts are often the ones that we can never justify buying for ourselves, such as a nice watch, a beautiful pen or expensive wine glasses. We often ‘made do’ with what we have and it’s not until we use this new, unique gift the we think “wow, how did I ever live without this!”. 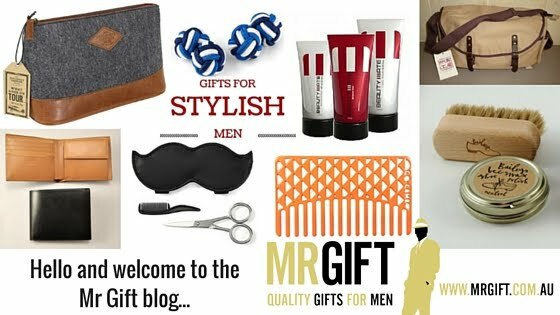 Check out Mr Gift for quality gifts and fresh gift ideas. A great gift is made even better when you pay attention to these small but important details. 10. Send it in time! Yes, it may be the thought that counts, but the best gift in the world still seems like an after-thought when it arrives a week late.